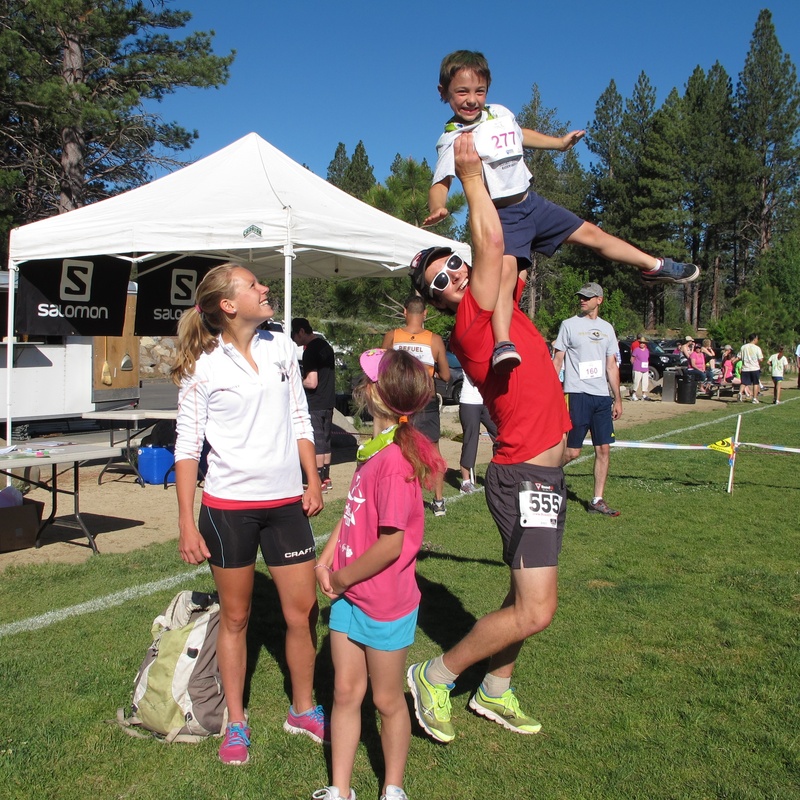 Hang out, run & have fun! Add a cool playground, picnic lunch and live music for the ideal family running day. 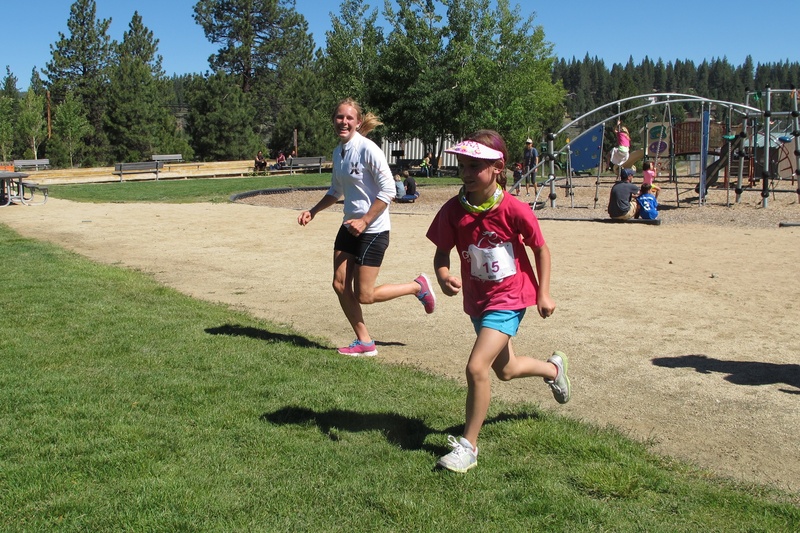 The happy marriage between the Truckee Running Festival and the Girls on the Run (GOTR) 5k race produced just such a day last Saturday. 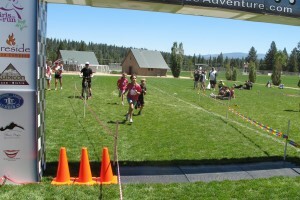 We have participated in both the former events over the years. (Read last year’s Girls on the Run 5k race report here.) Big Blue Adventure’s Truckee Running Festival brought the Waddle Ranch half marathon to the combined event, as well as much shorter races for the youngest runners. 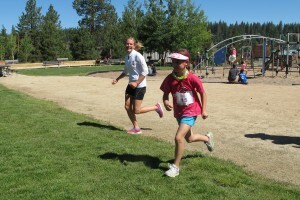 This year was extra-special because our daughter, Clara, had her first opportunity to participate in the GOTR after-school program. The celebratory 5k run is the culmination of the program, with the girls being physically and emotionally prepared to complete the distance. 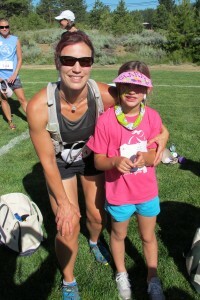 Clara selected me as her running buddy for race day. 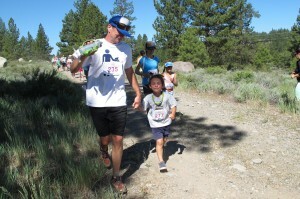 Daddy was already slated to run the half marathon, so I had to come up with a buddy for our little guy, Alex. Local ultrarunner JP was quick to volunteer. I registered everyone in advance for the best price, including a much-appreciated locals’ discount. After face painting and hair decorations (and some sunscreen-in-the-eye drama with Alex), the 5k runners were ready to go. 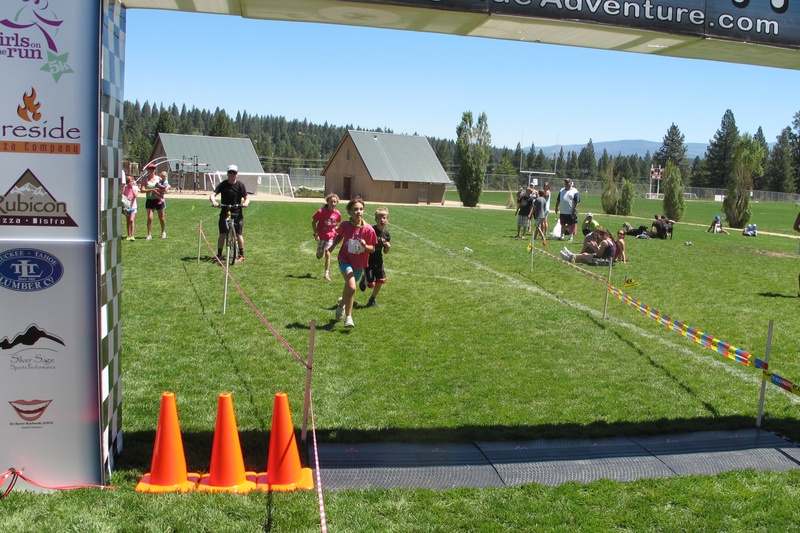 I was surprised that the 5k course headed east on the Legacy Trail and off onto the dirt, but it didn’t seem to phase the kids. The pavement section is better shaded, but the dirt road was in full sun. I kept Clara cool with water from my hand-held bottle. Just finished pacing Alex, 6 1/2, in the Girls on the Run 5k. We held hands the whole way (his idea), he jumped, hopped, bounded over every bush or rock in his way. His pace was solid. At 3/4 mark he started picking out people he wanted to pass. Some we did, others slipped away. 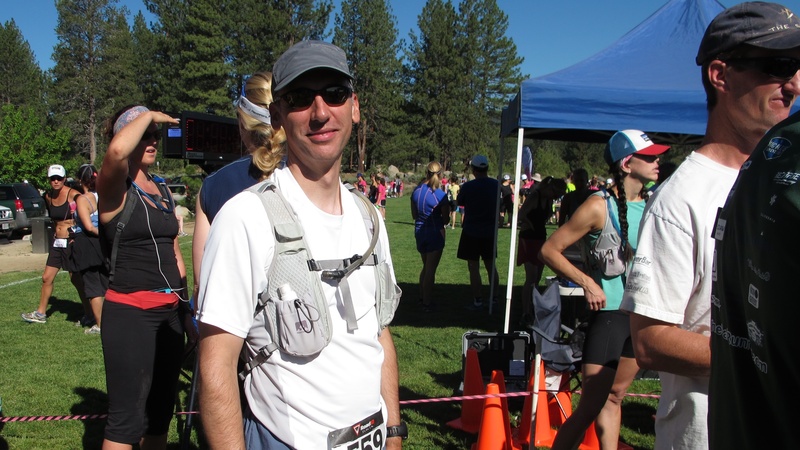 I was reminded again of the joys of running. 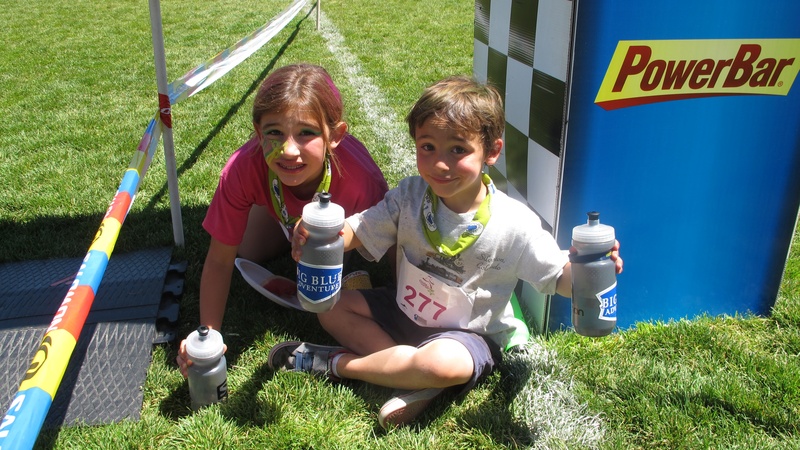 The kids helped themselves to the post-race food, relaxed in the shade, and waited for Daddy to finish the half marathon. 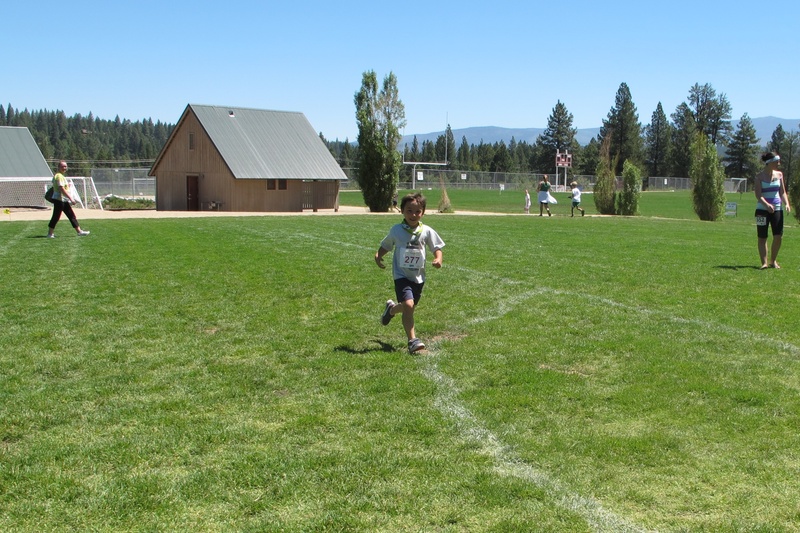 Later the kids raced again in “sprint” distance laps on the turf. Indeed, it was a joyful day of friendship and running! 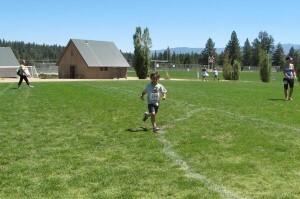 Alex running (beautifully) like a kid! 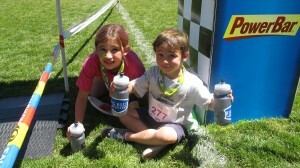 Clara & Alex relaxing in the shade of the finish arch.